Streets comprise the greatest amount of impervious area within the municipal boundaries and contribute the largest runoff volumes and pollutants loads. Development of Green/Complete Streets Standards can help municipalities address water quality regulations and community livability objectives. Understanding opportunities to improve upon conventional street designs can be a starting point for implementing Green/Complete objectives. 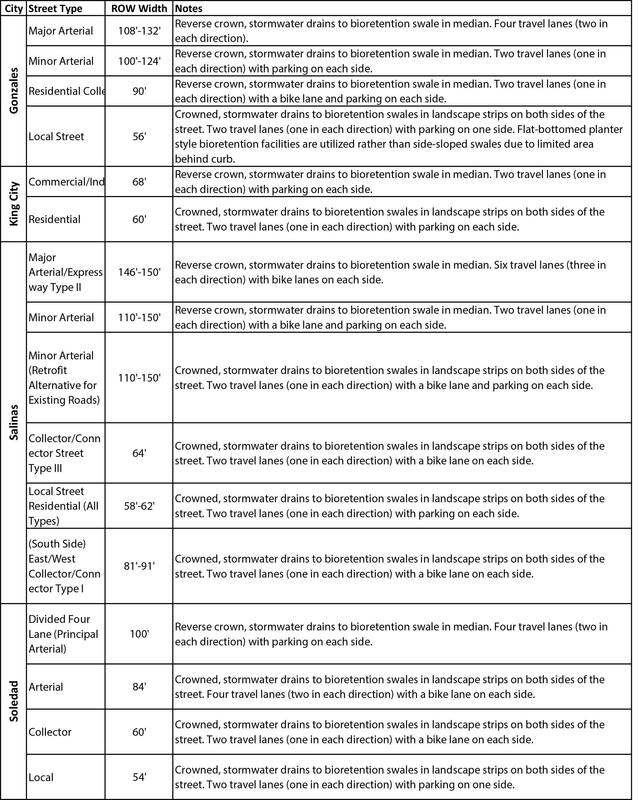 Green/Complete Street Design Elements is a guidance matrix and checklist created for LIDI to support design improvements for new and retrofit streets to meet natural resource and community sustainability objectives. Green/Complete Street Standards (Standards) were created for the Central Coast Region cities of Gonzales, King, Salinas, and Soledad. Funded in part by a Proposition 84 Stormwater Grant, the work was a collaboration between the municipalities, the State Water Resources Control Board, the California Stormwater Quality Association (CASQA), and the Central Coast Low Impact Development Initiative (LIDI). 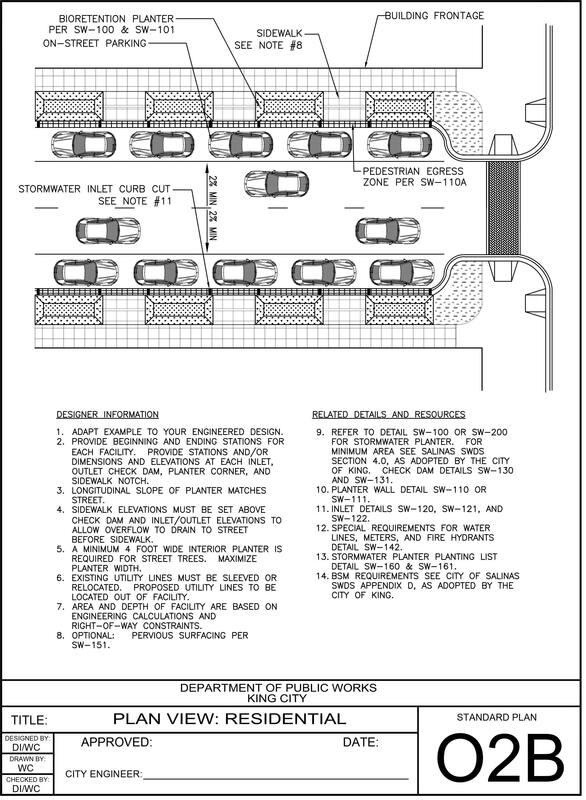 Below is a memo describing the overall effort, a matrix that illustrates the unique considerations used to develop standards for each city, and links to the actual Green/Complete Street Standards in both PDF and DWG format. Additional LID standard details are located here. Complete Street Standards. Below are PDF and AutoCAD files developed for each municipality.